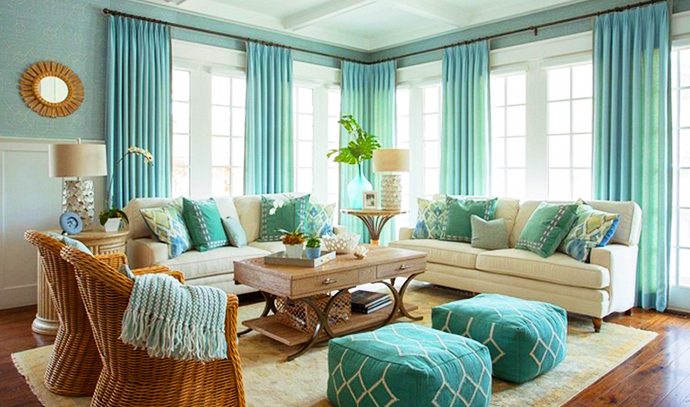 Few colours are as playful and stunning as turquoise. Whether you’re using it for an accent wall or as a decorative accent, this vibrant colour can be whimsical, bold, lively, or dreamy. Turquoise is far more than another colour from the gemstone family. With its various hues, shades and tones the colour is deeply imbued in human history as a colour that brings harmony, peace and lasting happiness. Often referred to as the summer shade, this stunning jewelled colour is perfect for any season. 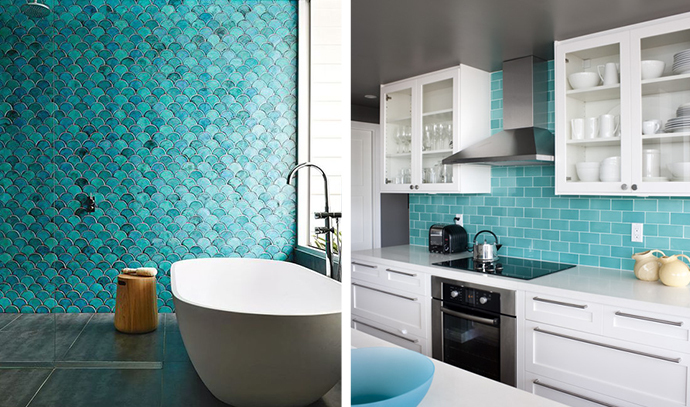 Turquoise can be used in traditional and classic rooms or modern, contemporary spaces. 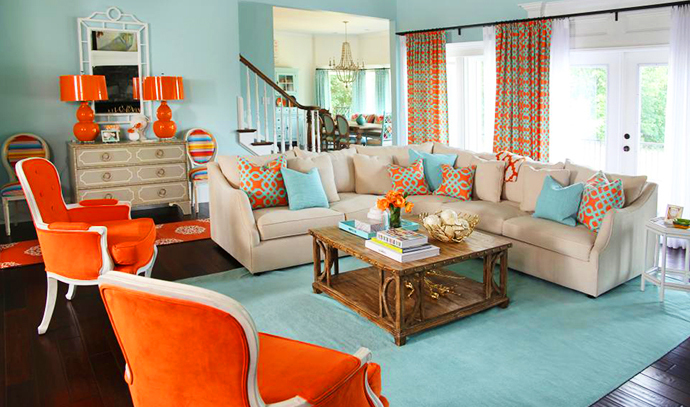 Because it has both cool and warm undertones, turquoise will compliment just about every other colour. For a whimsical and feminine appeal, considering mixing the colour with pinks, soft greens and lavenders. Looking to create a more masculine vibe, consider pairing it with hunter green, chocolate brown or charcoal. If you are feeling lively, you can create the feeling of spring all year long by decorating your room with turquoise and lime green. 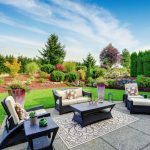 Mixing it with yellow is a great way to create a sunny, vibrant ambience all year long. 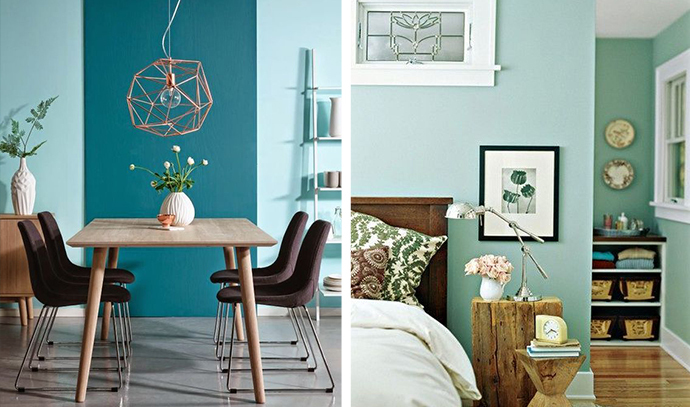 Like many energetic colours, turquoise is often used to add a pop of colour to an accent wall. It adds light and energy to an otherwise neutral dining room or kitchen. Consider adding a vibrant colour to an accent wall in a room with natural wood and warm whites. Or add a splash of colour and dimension to dark coral walls as well. A paler, bluer turquoise works in a full room and creates a colourful backdrop for black and white modern decor. The possibilities are endless with this versatile colour. 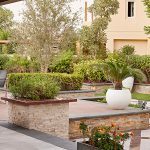 Stone tiles with vibrant accents create a lovely decorative accent for your kitchen, bathroom, or outdoor landscape design. Subtle, yet stunning using tile creates a luxurious addition to your home or office space. Our interior designers can take an ordinary piece of furniture from drab to stunning with a fresh coat of paint. Do you have a piece of furniture that needs a little love? Consider painting it turquoise! Looking to add a splash of feminine flair to your space? The combination of pink and turquoise is both energetic and feminine. Throw in some white accents to keep your palette fresh. Add this decorative colour to your existing décor by carefully selecting accents. Highlight your white walls with colourful lamps, decorative art, or drapes. In a large room, you can create a separate space by using colour. 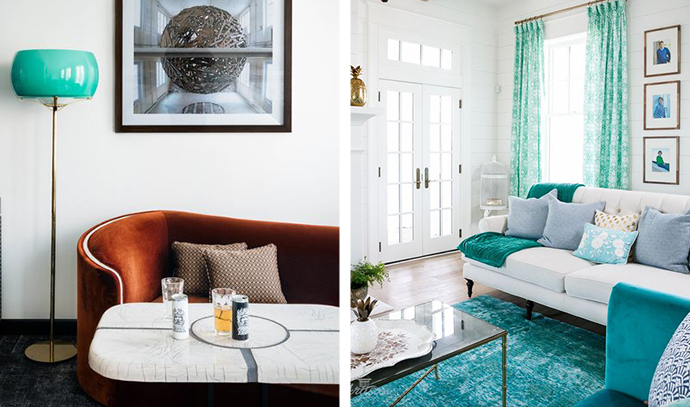 For example, your seating area can feature a combination of turquoise armchairs, matching accent pillows and an area rug incorporating the same colour. A symmetrical décor makes a room feel more comfortable and inviting. If you decide to add an area rug with colourful accents, consider also adding a bold chandelier or pendant light. The key is to use the colour to create a separate space. It’s ok to be subtle. Your colour doesn’t need to be bold or dark to stand out. Even when you use a very light shade of turquoise, this stunning shade can be a vibrant accent for your home as long as your other colours come to its aid. 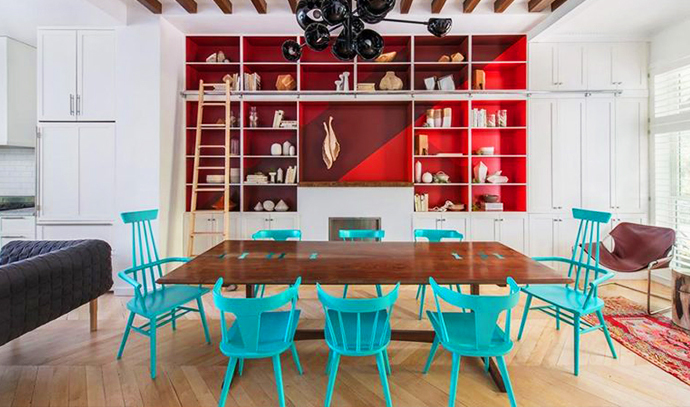 Decorating with colour can do wonders to reinvent your space. 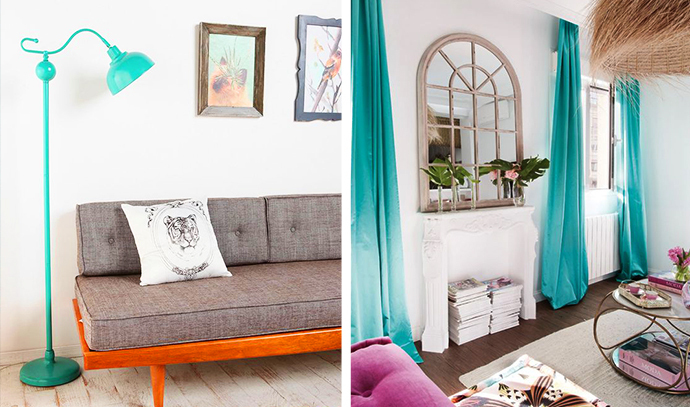 Are you looking to take your interior colour palette to the next level? 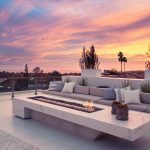 Contact the interior design professionals at Milestone for your free consultation.